2011 was a pretty good year with its fair share of tragedy (the Great Tohoku Earthquake) and breakthroughs. During that time, JLPT Boot Camp grew from just a few lost internet visitors into a pretty busy blog. 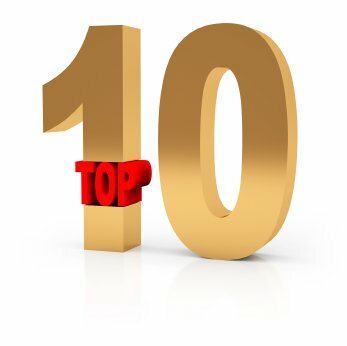 I thought I’d take the time to take a look back at the 10 most popular posts of 2011 in case you missed a few. With somewhere around 30 to 40 % of JLPTBC`s readers studying for the N5, it is no wonder that this article is pretty popular. This is a Japanese version of the English article. I attempted to write it using N5 grammar and vocabulary which is almost impossible, but with any luck it is pretty understandable, albeit not very in depth. Some people love kanji while others loathe it. The three alphabets, kanji, katakana, and hiragana are definitely unique to Japanese and present unique challenges that learners of other languages don’t have to face. I come to the rescue with 5 handy tips to help you learn kanji a lot faster and easier. You might also want to check out 5 More Ways to Learn Japanese Kanji as well for some more tips. The JLPT N3 is a bit of an odd man out. It is half way between the old　三級 and 二級 tests. It is hard to get an idea of what to expect for this one. In this podcast, I go over the reading section and what to look out for when answering the questions for this section of the test. Memrise.com is a new website that was created by a few folks that know how to memorize stuff. It has all the bells and whistles to help you lock in new vocabulary words including mnemonic devices and sound. They have really been developing it over the last few months. Every time I visit it seems like they add something new or change something around for the better. Definitely give it a try if you haven’t already. Back in high school, I made a lot of mistakes studying Spanish vocabulary. I had no idea that just a few simple tools can make the process significantly easier and less painful. Don’t get stuck using bad studying methods to remember vocabulary. Unlock the secrets that can help you lock in the vocabulary you are studying. #3 JLPT Study Hours – Are they Accurate? What level of the JLPT should I take? You ask. Well, that’s always a tough question to answer, but study hours can be a good indicator of what level you are at. Although they aren’t fool proof, they can give you a good idea of how far you have come and how far you need to go. I break down the different estimates available for how many hours you need in this article. JLPT Study Hours – Are they Accurate? Ok, so you’ve studied Japanese for awhile and you are ready to take the JLPT, but what is it like? What kind of questions are there? What kinds of things do they ask on the test? What is the format? All those questions can be answered by taking a JLPT N4 practice test. This free practice test made available by JEES, the official JLPT people is not a full test, but does go over all the different types of questions you’ll see on the exam. It is a must have for anyone taking the JLPT N4. And the #1 most popular article of 2011 with a whopping 6% of all traffic is the JLPT N5 Practice Test. This is a definite necessity for all those studying for the first level of the exam. It will answer all your questions about the format and types of questions you are likely to see on the test. If you haven’t already, I encourage you to pick it and go through it if you plan to take the N5 test in 2012. That’s all the awesome articles from 2011. Stay tuned for some more goodies in 2012. You’ll want to sign up for the newsletter so that you never miss out on a new article. Or you can use the RSS feed if that is your thing. And don’t forget about the podcast. JLPTBC is going to be going through a lot of changes, so stay tuned to find out what is coming up next. Also be sure to take the time to answer the ultra short poll on the right side of the site. This helps me write new articles that are important to you. I hope you enjoyed the holiday season and had a great New Year holiday. It was a pretty busy season for me, but I’m back and ready to get back to work.